What hasn’t changed is the importance of relationships in business. The fact is that people like to buy from people and companies they have a relationship with. You can use the power of the internet and existing digital platforms to your advantage - to help you develop your business relationships in a scalable way that was never possible before. When carefully managed, these relationships can bring growth and prosperity to a business. We have learned a 5 Step Process to be used with LinkedIn, that will systematically develop relationships with thousands of cold prospects, and convert them into warm leads over time. Once this system is in place and functioning, you’ll have a marketing machine that will be continually running in the background delivering you more leads, better leads, and more referrals. This system will allow you to market to them in a specific way that culminates in a request for a phone call or meeting. Then all you’ll need to do is bring them into your sales process and close the sale. The process begins with an in-depth discovery of your target prospect. You must define a precise description of your prospects by industry, company size, position, location, etc. Then use this ideal prospect information to design and run a campaign that is unique to you. This is important because each company has a unique market, message, prospect list, identity, etc. and your LinkedIn marketing campaign needs to specifically convey your message to your prospects. Some of the questions that you need to answer in the discovery process will help you in developing that unique campaign. Then you need to create a set of personally crafted messages to deliver to your prospects, developing a powerful campaign that will have lasting results. MESSAGING: What kind of messaging will resonate with your ideal audience? GROUP: What kind of group can be created that will provide lasting value and attract prospects – not your competitors? PROSPECTS: Who are your most valuable prospects and how will we identify them on LinkedIn? Now that you have a precise description of your target prospects, use that information to build your database of connections on LinkedIn in an extremely targeted manner. When first coming to us, we find that most people have between 100 and 500 connections. 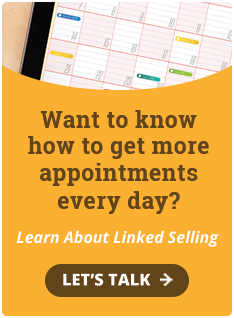 Work your LinkedIn account to dramatically expand your connections to between 1,000-2,000 of very high value prospects. If you are careful to use your prospect profile – these connections will not be junk! These leads will be your actual, high-value prospects. Then work to connect with them directly. This will result in a valuable long-term database that you can systematically continue to grow. Many people think all they have to do is ‘get connected” on LinkedIn and business will begin to pour in. Wouldn’t it be great if that was all you needed to do? Well, it’s not. Connections must be targeted AND you must interact with them to stay top of mind and build real relationships. We’ve all heard this saying: “People do business with people that they know, like, and trust” and it’s true! It is possible to establish that trust, in a short amount of time using LinkedIn. Studies have shown marketing requires a number of touches over a period of time. Some say 7, some say 12, or some say even as many as 30 touches. Whatever that number is, the truth is you have to persistently stay in front of prospects in order to be “top of mind” when they are ready to buy. Take the set of personally crafted messages you created in Step 1 and begin to deliver them to your prospects at predetermined intervals. This is the beginning of your LinkedIn marketing campaign. It’s now time for the delivery of personal messages to each of your high-value prospects. Do this on a regular basis, to insure that you are not only positioned for the sale when the time is right, but also are generating new leads consistently. Creating and running an effective LinkedIn group is the most powerful tactic in your LinkedIn marketing campaign. A robust and active LinkedIn group is the single best way to establish yourself as THE expert in your space. This is important - If you’re not doing it, one of your competitors will be. 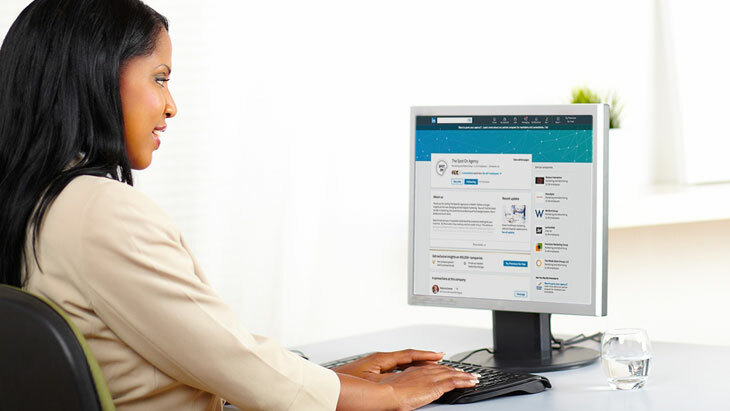 A LinkedIn group is an extremely important component of your overall campaign. First, create a group that attracts your best prospects to become members. Manage the group on a daily basis, contributing content and facilitating discussion. And don’t forget to consistently grow your group, this will allow you to be continually exposed to new prospects that can be worked into your leads and connections. As the owner of the group, you control the most valuable messages that are sent from the group to its members. This group owner privilege allows you to send targeted communications to all group members, and to keep your most important messages front and center at all times within the group. Deliver daily group digests to all group members. Yes, this means your name will be in front of your prospects EVERY DAY. Send group announcements (that are delivered straight to every member’s inbox). The group owner decides which article or discussion will be featured in the forum. Across many industries, this LinkedIn marketing campaign process has delivered an average 25% favorable response rate. Meaning for every 100 targeted prospects that is worked through the process, on average 25 will agree to speak with you or your sales team. Compare that to cold calling. Lastly, continually refine the process, working new prospects into it, and perfecting the message as your campaign moves forward. By putting this plan into action you’ll get a big jump on your competitors. By the time they figure out what you’re doing it will be too late for them to catch up.